Travelling to Taiwan and saw something you like and yet you wasn't sure if it is too expensive? 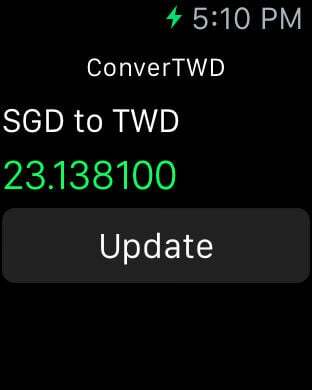 ConverTWD is here to help, by pulling the latest currency conversion rate from the net, you will be able to get how much does that gift cost in Singapore Dollars! -Build to provide quick conversion on the fly, every number you typed will be instantly converted. Simple. - Rates are pulled and refreshed from reliable sources whenever you use the app.